Have trouble finding the right receipt of your business trip, uploading or printing it, and remembering what it was for? Simplify this tedious process of reporting expenses with the magic of Business Profiles. 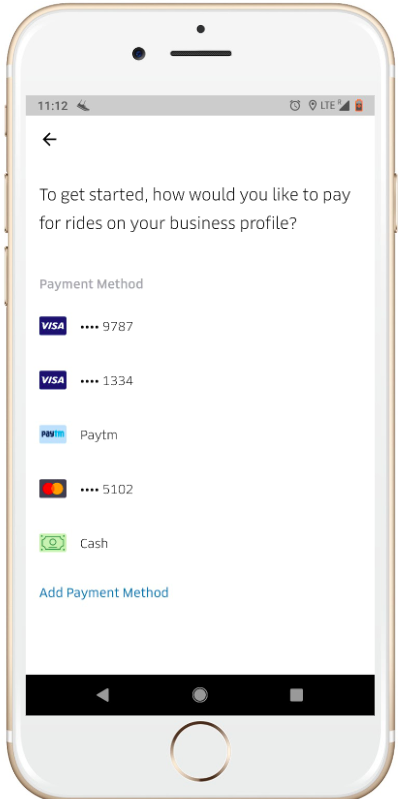 Keep your rides for work all on a separate payment method. Whether it’s work or personal travel – all you need is a single Uber app! Depending upon the programme & policy set by your company, you may be asked to add an alternate method of payment on your Business profile. With Auto-Expense you can link your Business Profile to your expense provider. 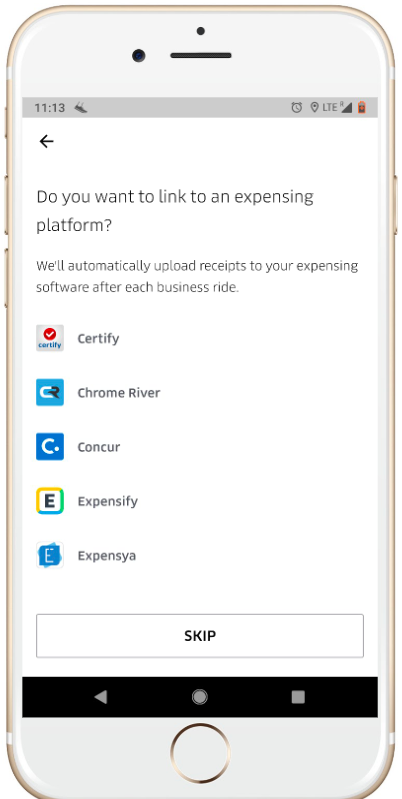 We work with Certify, Chrome River, Concur, Expensify, Expensya, Happay, Rydoo, Serko Zeno and Zoho Expense. Next time you ride on your Business Profile a copy of your receipt will be automatically sent for reimbursement. To enable, follow the steps below after creating your Business Profile.